We have reams of data at our fingertips these days, and using that data to make better decisions seems like an obvious choice. But it's not always easy to pull out meaningful information from the digital stratosphereâ€”the kind that helps you understand your workforce and improve enforcement efficiently. In a jungle of data as an employer, you will find difficult to discover individual trees. Managing product and managing people are two different things. The productivity of Company and employee satisfaction are not always easy to calibrate and many organization fails to understand what exactly to measure. These are three basic reason due to which organization fails with Human resource analytics. Every organization should have an integrated data system. Company Data stored in multiple places should be pulled down together properly to generate a meaningful report. Apart from having loads of data, organization fails to generate reports which will eventually boon the company. To store or track all your data from Core HR, your attendance or even your payroll your organization requires an HR software platform. HR software allows you to directly integrate your third-party tool thus allowing you access to the key metrics you require for your business growth. Whichever HR software you choose for your organization should allow you access the data easily. There are many outdated HRMS product who fails to collect proper data and eventually fails to analyze it later. If you are facing the same problem then its high time to update some new HRMS software for your organization. Many HR software available in the market doesn't know what exactly to measure. We HRMantra taking the subjective realm of your Human resource analytics we will let you know which metrics matter you most, we will help you to find insight from data you require to make better business decisions. These are few basic metrics for better management of the workforce. 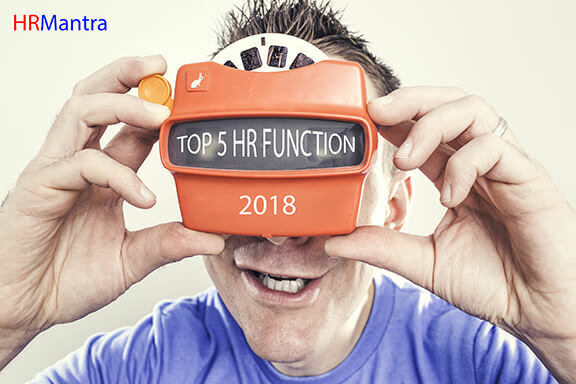 Once you have a booming software like HRMantra in your company you can bring together and track data which will eventually improve the effectiveness of your workforce. 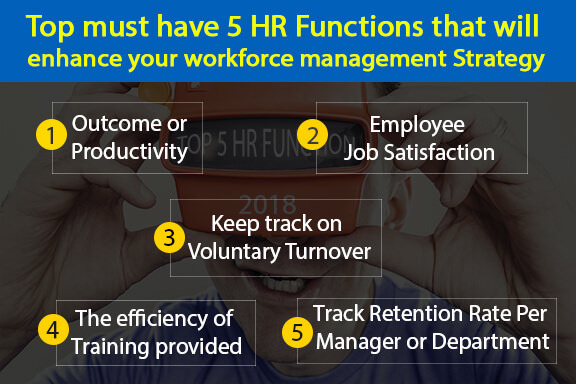 After implementing HR software problem in your organization, now you can freely gather and track information and data to improve the overall effectiveness of your whole workforce management. You have to put together some key performance indicators to achieve your objectives and organizational goals. You should always remember that your target is to track information for the overall growth of your organization. Along with tracking productivity HR software allows you to track employee satisfaction and their engagement level. To rate employee satisfaction performance review is important. Tools like performance assessments, incentives, and teambuilding initiatives allow you to find happiest employees at work. You may even use email and mobile alerts to get feedback when needed. Tracking turnover rates can be very helpful for organization, but measuring voluntary turnover of organization (employees who leave your organization by their own choice) can give you an even exceptional look at whether the employees of your organization are satisfied in their current roles. You should always keep your track on numbers, but conducting exit surveys to ask employees of your organization about their reasons for leaving seems to be very beneficial. Is your training program efficient for getting the work done? When you're allowed to measure training expense per employee in your organization along with creating a checklist of training goals for every employee within the organization. You can monitor increased productivity of employees as the employees are gradually completing the training stages. In every organization, retention is been tracked but now you can be broken down to track retention rate by departmental or Manager level. This will help you to find fragile part of your organization structure and take necessary steps to resolve it. These metrics will help you to boost profitability, talent acquisition, retention, and much more. But for all this, you need a RIGHT SOFTWARE. A software which will assist you at fullest to drive a strong workforce management strategy.